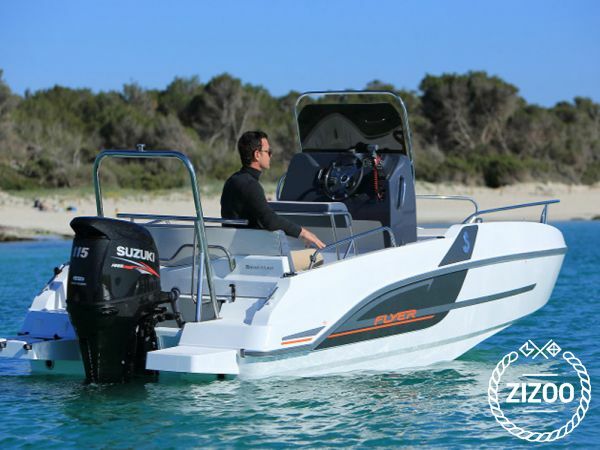 Ultra-spacious, the SPACEdeck cover version, open with a center console, offers a very clear deck with beautiful side decks for fluid circulation. Its generous stern convertible aft bench * and its two large props forward, make Flyer 5 SPACEdeck a dayboat very functional and easy to live. Always with this wide choice of personalization of the range.